The lab of Fabrizio Carbone at EPFL led the project to create a tiny antenna array that would allow plasmons to travel across an interface. The array consisted of an extremely thin membrane of silicon nitride (50 nm thick) covered with an even thinner film of silver (30 nm thick). 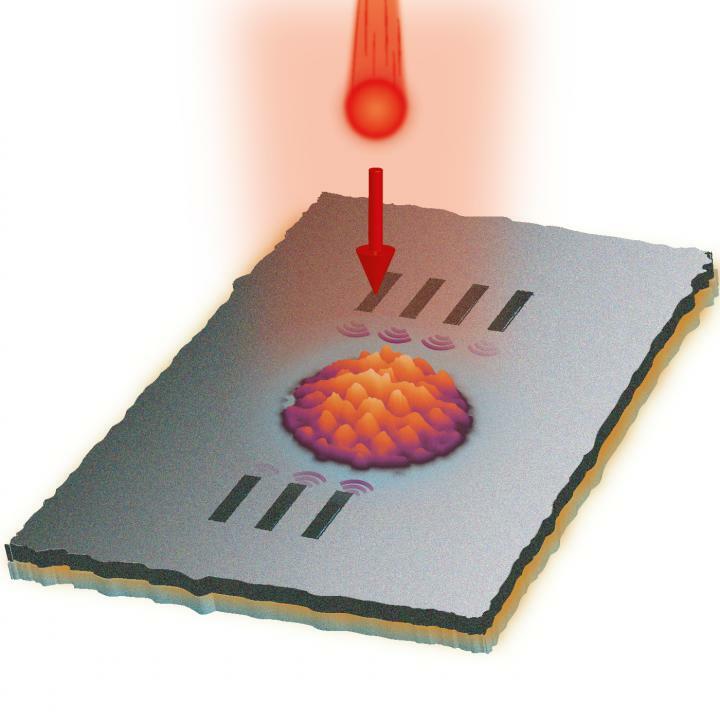 The scientists then "punched" a series of nano-holes through the surface that would act as the antennas — the plasmon "hotspots".